If you follow the media at all, you have likely heard of the demise of interest and attendance at mainline churches in the United States and abroad. Although there may be some truth in that assessment, it is only part of the truth. There is also occurring numerical growth and spiritual success among some mainline congregations. 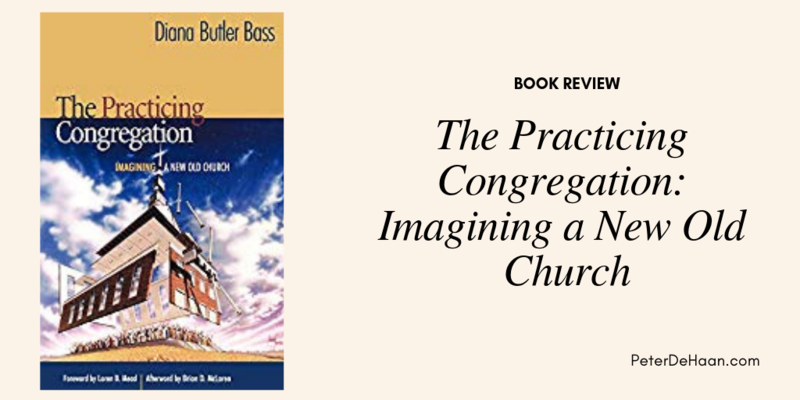 The Practicing Congregation looks at those churches, encouraging and enlightening us along the way. This sentiment is succinctly summed up in the subtitle: “Imaging a New Old Church” and as such it becomes a primer for tomorrow’s church. The contents of this book are applicable to all who follow the God revealed in the Bible, but is focused specially on mainline churches. As a bonus there is a compelling afterword by Brian McLaren that extends Butler Bass’s mainline principles to evangelical, Roman Catholic, and Orthodox perspectives. For the academic minded, this work is heavily and thoughtfully footnoted.